Bells of the Cascades, Inc. began in 1990, organized by a group of directors and advanced ringers seeking to share their love of handbells and a more challenging ringing experience. Richard Coulter was invited to direct, ringers auditioned, a nonprofit corporation was formed, and the choir was off and running. As the group continued to develop a reputation as a top performing choir, it quickly began to promote the the art of handbell ringing through teaching workshops and conducting music reading sessions for local ringers. 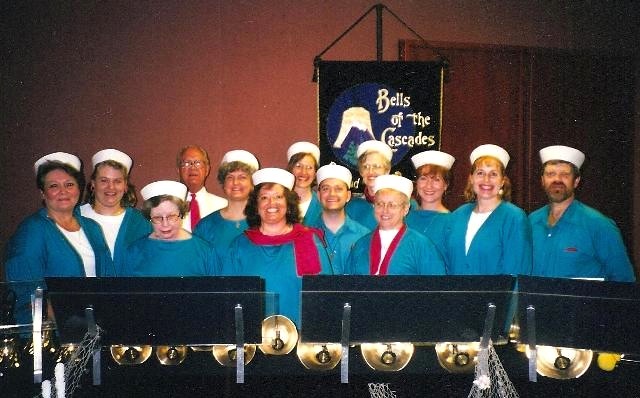 In 1993, Bells of the Cascades organized its first handbell cruise, a floating workshop sailing through Alaska’s Inside Passage. Since then, we have cruised the Eastern and Western Caribbean, Mexican Riviera, and returned to Alaska, enjoying the company of ringers from all over North America and Australia. Pioneers in the community bell choir movement, Bells of the Cascades has performed as a featured choir at the 1993 American Guild of English Handbell Ringers Western National Conference, the 1997 Directors’ Seminar in Spokane, the 2013 Handbell Musicians of America National Seminar, and several Area X Conferences, including a featured concert in 2006. Bells of the Cascades has performed with the David York Ensemble, Novum Chamber Singers, Masterworks Choral Ensemble, Pink Martini, and Portland’s Singing Christmas Tree. We also perform at community events throughout Western Oregon and Southern Washington. 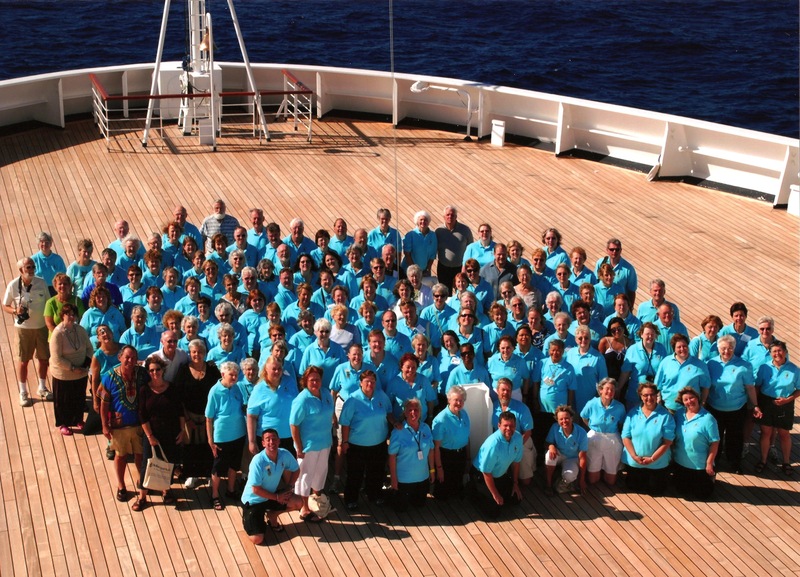 Images: Bells of the Cascades’ Cruise III in 1997 and Cruise X in 2009.